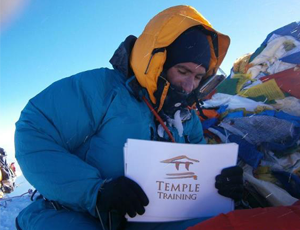 Lifestyle and Nutrition Video Introduction by Temple Training founder Derry Temple. The first step in any fitness program is to ensure you have the correct approach to a healthy lifestyle and a proper nutritional program. By the end of your consultation you will have a clear understanding of your goals, how long it is going to take and a detailed plan to help get you there. I will educate you about the importance of balancing stress hormones such as Cortisol which if left unchecked will cause fat to accumulate around your midsection creating the dreaded love handles. I will teach you how adjusting your lifestyle can increase the production of growth and repair hormones helping produce real results from your training. Dysfunctional sleeping patterns are the key to accelerating ageing. Just a few restless nights each week can impair your body’s ability to metabolise sugar efficiently. I can teach you techniques that will improve your sleep so your body can cleanse and regenerate efficiently. The importance of nutrition is so often overlooked by those wanting to get in shape. Let me show you how to balance your blood sugar, avoid energy spikes and maintain a healthy acid / alkaline profile through an intelligent and healthy diet. By prescribing the correct macronutrient balance for your body type I can help you develop an optimum nutritional strategy. You are only as strong as your weakest link. Through my detailed postural and movement screening system, I will identify your specific strengths and weaknesses, and build you a training program completely tailored to your personal needs and goals. Regularly measuring your body fat % levels allows you to track your progress every step of the way. How your fat accumulates in different areas of your body also tells a lot about your hormonal profile. 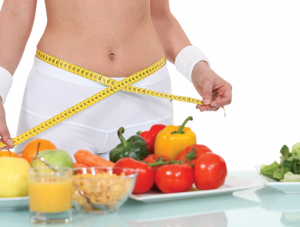 I can then help you improve any areas of dysfunction through dietary and lifestyle measures.